Rs 11 crore worth of cotton bales were reduced to ashes in the fire as per the complaint given by the company manager. Image used for representational purpose for blast. GUNTUR: A major fire broke out in the National Collateral Management Services Limited (NCMSL) godown at Vasavi Nagar of Pedakakani town in Guntur district on the intervening night of Saturday and Sunday. 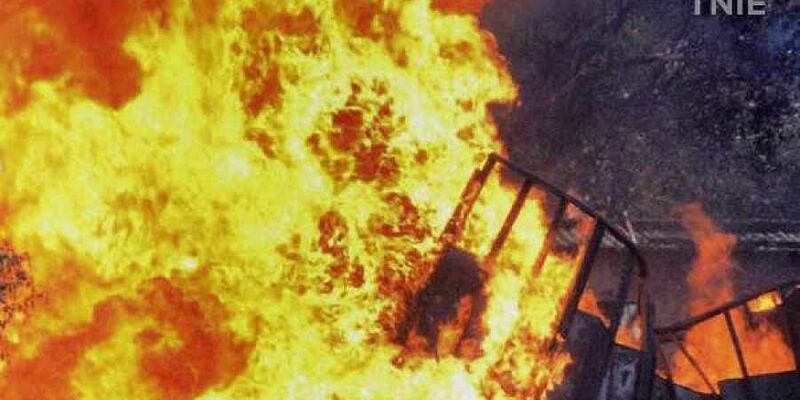 Cotton bales worth over Rs 11 crore were reduced to ashes in the mishap. NCMSL manager CS Rao said the godown was leased to farmers to store cotton bales. Rao said he received information about the fire at midnight and immediately alerted the fire department. The fire services department pressed into service eight fire tenders from Narasaraopet, Chilakuripet, Ponnuru, Tenali, Guntur, Mangalagiri and Vijayawada to douse the flames. Water tankers were also rushed to fill the fire tenders, which battled for hours to extinguish the fire. Guntur district fire officer V Srinivasa Reddy said they received information about fire in the godown at 2 am on Sunday. Mangalagiri DSP G Ramakrishna said Rs 11 crore worth of cotton bales were reduced to ashes in the fire as per the complaint given by the company manager.